To support the Regional Head Financial Planning and Analysis in providing professional guidance in Financial Planning and Analysis, supporting regional Business Development Managers and providing assurance on the underlying business financial performance. The post holder will be in charge of analysing and interpreting long – and short – term financial and operational plans through management reporting, analysis and interpretation of financial trends, impact assessment in conjunction with the Regional Head in order to enable informed decisions. This post will be part of the SSA regional FP&A team that is dispersed across the region. The role will support all countries and SBUs within the cluster. The SSA Business Plan sets out ambitious growth targets for both the number of people we will work with and the income that we will generate. Turnover by 2020 is expected to be over to £90 million in SSA, driven predominately by growth in Contract income as well as Exams and Teaching centres, despite a declining grant funding from centre. We also expect to be more profitable, reinforcing financial sustainability. 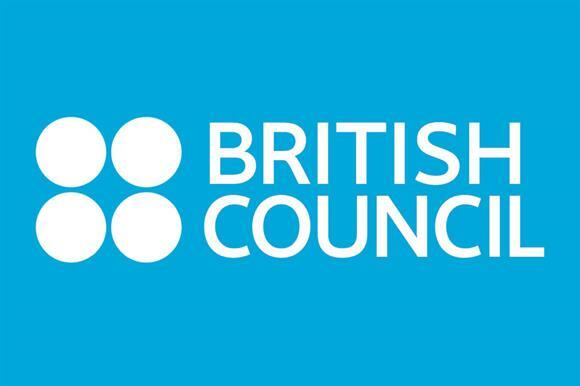 At the same time we aim to achieve a step-change in the quality and performance of the British Council’s Finance function by April 2018. This will be achieved through more consistent standard of financial reporting enabling more informed decision making and satisfy the standards demanded by external stakeholders. The organisation will achieve this by becoming increasingly efficient and commercial in its approach whilst maintaining its public service ethos and charitable purpose. This will be done through the implementation of a number of change programmes, which will result in more efficient and simpler processes. The post holder will play a key leadership role in supporting the delivery of the business plan through accurate annual planning, monitoring, analysis and management reporting to the Regional Head of Financial Planning and Analysis. The Finance function is structured along functional lines with the aim of embedding the ‘three lines of defense’ model at its heart, clearly separating the financial control (first line) and risk and assurance (second line) functions, ensuring the integrity of our results and the strength of our controls. This will allow the organization to focus more easily on business decision making, strategic planning, budgeting and forecasting on the basis of accurate monthly results. This is a critical advisory role where effectiveness is dependent on ability to influence. Personal confidence and credibility is required to ensure advice is seriously considered by senior members of the Regional team. Lead the planning process for Ghana, Cameroon, Sierra Leone and Senegal, being countries within the West Africa cluster, including all SBUs, challenging submissions and identifying synergies and ensuring delivery to deadlines. Provide clear summaries of Ghana, Cameroon, Sierra Leone and Senegal, being countries within the West Africa cluster, including all SBUs planning / forecasting. Support planning and rolling re-forecasting processes as requested by Regional Head FP&A to ensure that information obtained from these processes is reliable. Support the Regional Head FP&A in developing reporting procedures and templates for regional and local use. Reconciliation and review of SAP plans before system closure. Analyses growth trends, product trends and KPIs and support the Regional Head FP&A in making recommendations to maximise opportunities and manage risks to ensure targets are met. Manage Ghana, Cameroon, Sierra Leone and Senegal, being countries within the West Africa cluster, including all SBUs management reporting for consolidation at Regional level for SBU leads and Executive Board. Liaise with business leads and Regional Head FP&A for any variances between business planning and operational planning figures and provide explanations / commentary. Review financial performance with the business leads and make recommendations for action to address issues identified at Country or Regional levels. Deliver outputs within corporate and regional timelines as requested by Regional Head FP&A. Support the business in relation to Master Data set up (WBS, PC, CC). Coach and support individuals and teams within the cluster countries and SBUs. Notes: Regular travel may be required based on business needs but should be no more than 25% within the region and occasionally overseas, especially to the UK. Reporting, planning & forecasting within a complex multi-site environment. Ability to explain complex financial data to non-finance people, using non-technical language. Advanced excel skills including pivot tables. ERP systems experience (transaction level and reporting). Level 3: Analyses patterns – Seeks out and examines a range of information to identify patterns, trends and options, to solve multifaceted and complex problems. Level 3: Is creative and adaptable in communications – Able to use a range of non-standard and creative approaches to inform, and persuade others, extending beyond logical argument to influence decisions and actions in a way which is inclusive and engaging. Level 3: Develops the culture – Has track record of analysing potential risks, promoting risk awareness, and holding others to account for their practices. Level 3: Develops annual plans – Develops and reviews the implementation of annual plans for a work group or function, taking account of business and customer requirements and reconciling competing demands. Level 2: Interpret management information and link to business unit strategy and operational performance. Participate in appraisals that effectively monitor and improve business performance. Level 2: Provide analysis to support decision-making, identifying key value drivers, benefits, sensitivities, and risks and implications for accounting. Level 2: Interpret management information reports, identify key causes of variances and evaluate risks and opportunities. Level 2: Analyse consolidated plans to facilitate effective management reviews and decision making. Advice on master data attributes that deliver meaningful information. Level 2: Partner with the business to provide sound advice based on transparent, meaningful and comprehensive management information to inform, influence and achieve positive business outcomes. Shaping The Future (MORE DEMANDING): Exploring ways in which we can add more value. Connecting with Others (MORE DEMANDING): Actively appreciating the needs and concerns of myself and other. Creating Shared Purpose (MORE): Creating energy and clarity so that people want to work purposefully together.